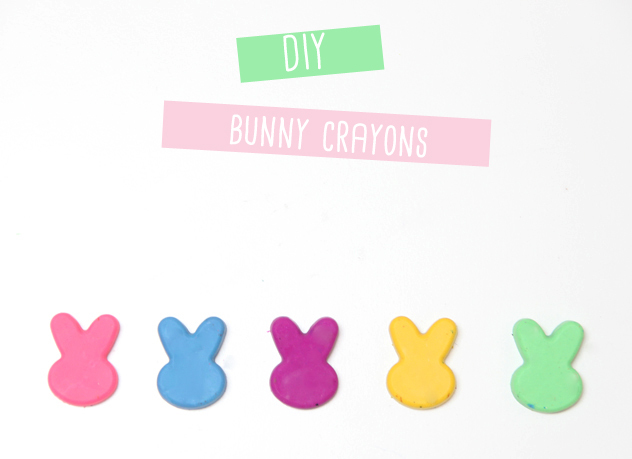 DIY- Make Your Own Bunny Crayons! I like to fill Kalia’s Easter eggs with other things besides candy. I know… meanest Mom ever… but she gets enough candy from her two sets of grandparents who spoil her rotten. 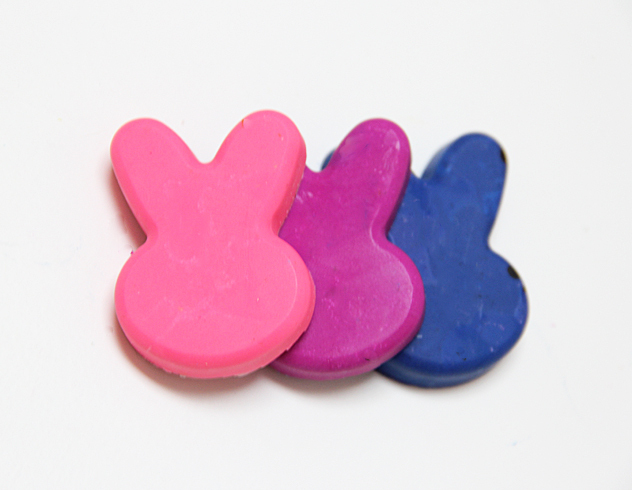 A perfect alternative to candy in the Easter eggs are little bunny crayons- they fit right inside them! 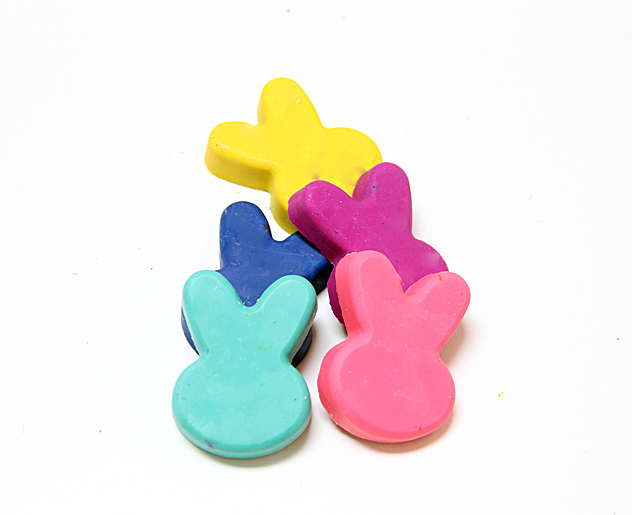 Unwrap crayons and break up into small chunks. 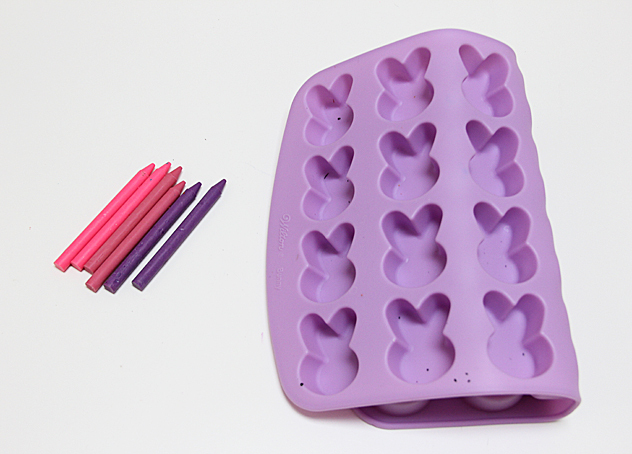 Fill silicone molds and bake for 12 minutes. Once out of oven let cool for at least an hour. If you have trouble removing them, place them in freezer for a bit. 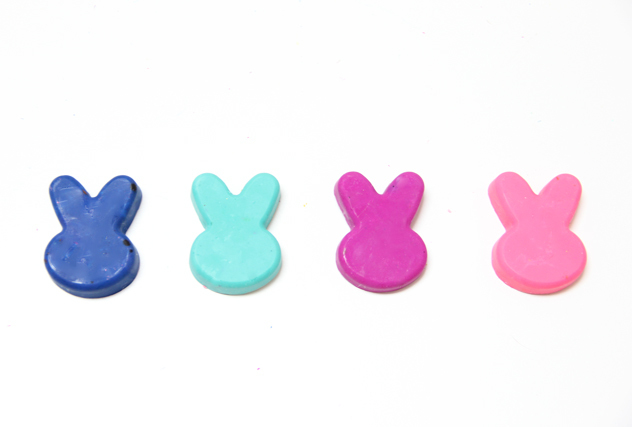 Do you fill your Easter eggs with things besides candy? Kalai gets popcorn, stickers and mini toy figures (alongside candy) and now these homemade crayons! 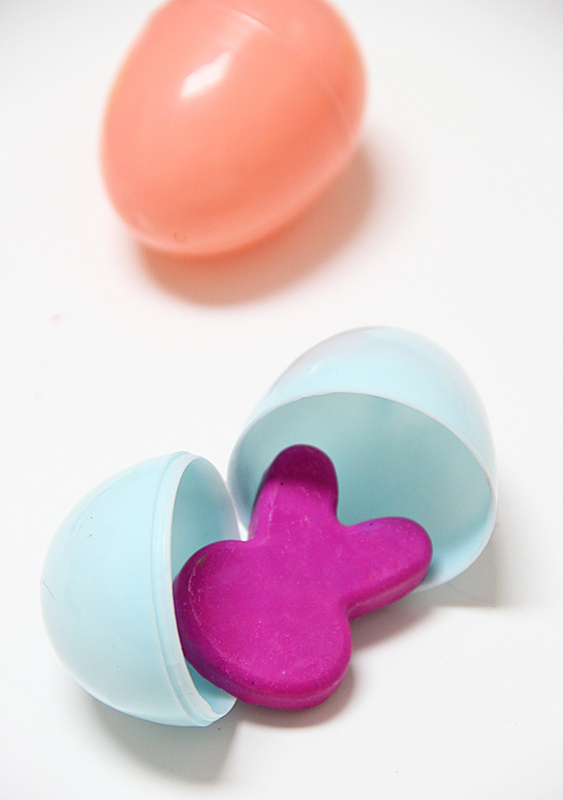 Need another Easter idea? 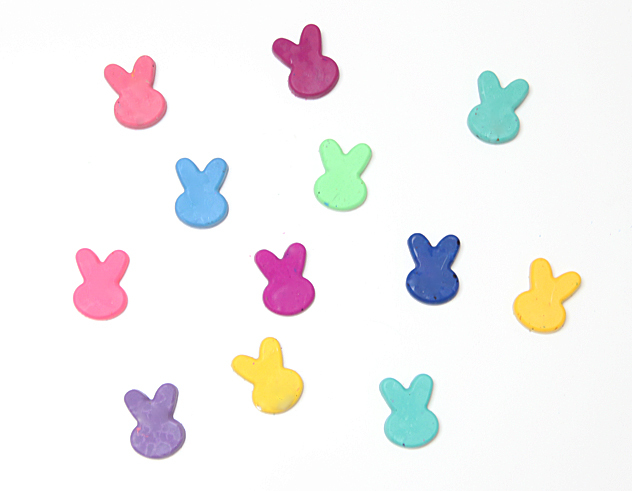 Check out my bunny glitter jars from last year! « Fab Friday Link Loving!